For the first few months, babies really don't need many extras. 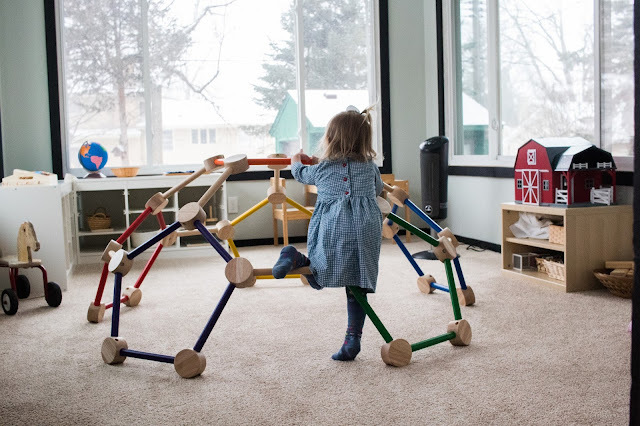 They may enjoy a Montessori mobile or some black and white images, but most of the time they are just soaking up the world around them and concentrated on adjusting to the big new world around them. Then, all of a sudden, they discover their hands and a new type of sensory exploration begins! With this discovery, you can introduce some new materials for the baby to explore. Here are our favorite Montessori friendly baby toys at 4 months! For Augustus, offering a small variety of simple toys has been really great! 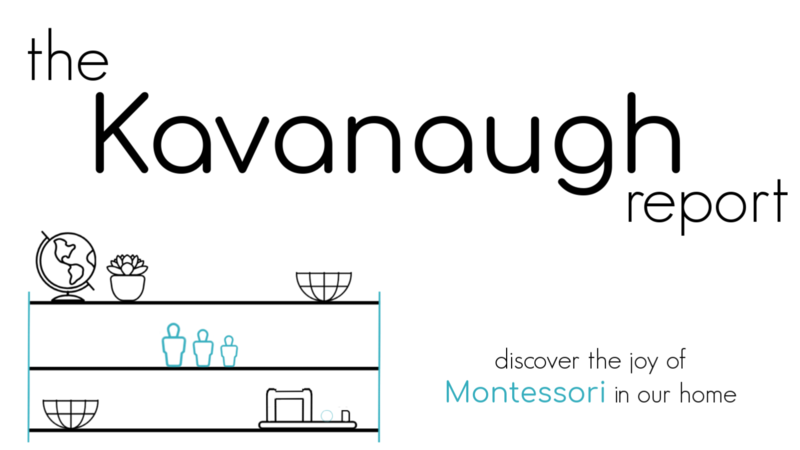 Some of these are the same as the ones we used for Nora at this age, and some are new and have changed as we have learned and grown into Montessori. This really is just about everything Gus has ever played with, maybe with the exception of some fabric and his Montessori mobiles. While he is 4-months now, I expect many of these will be his favorites for the next couple of months, but we will follow his interests. *These are used as tactile mobiles with our play gym. While there are 12 options here, we only offer a couple at a time and rotate as his interest in the objects change. We try to offer things that stimulate his desire to explore his senses. 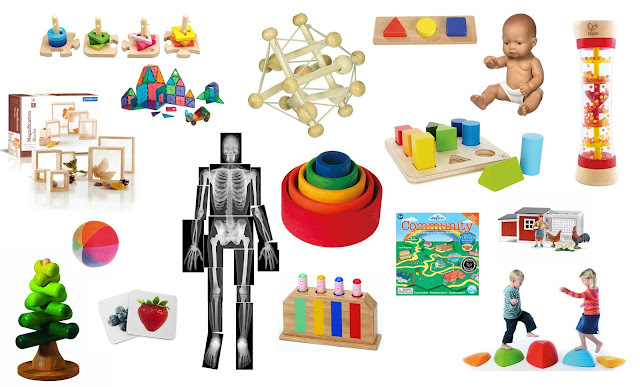 Things that make a pleasing noise, different textures, different tastes, different weights, and things that encourage movement. 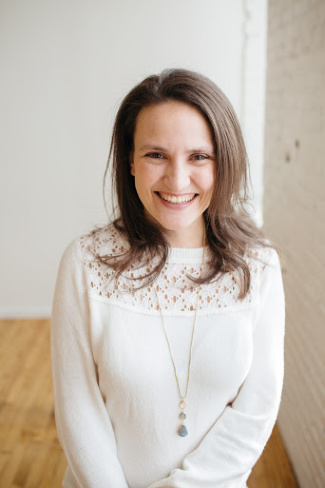 We also want things that encourage concentration, aren't too busy, and aren't too heavy or cumbersome to really explore. What are your baby's favorites at 4-months? 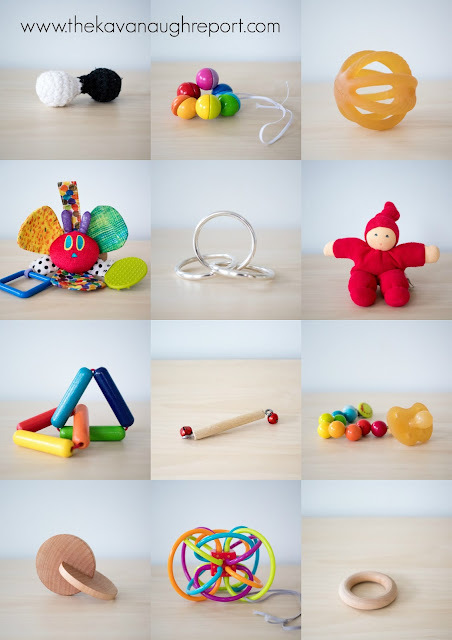 great collection.It’s actually a great and useful piece of info about the montessori friendly baby toys at 4 months.I’m happy that you just shared this useful info with us. Please stay us informed like this.